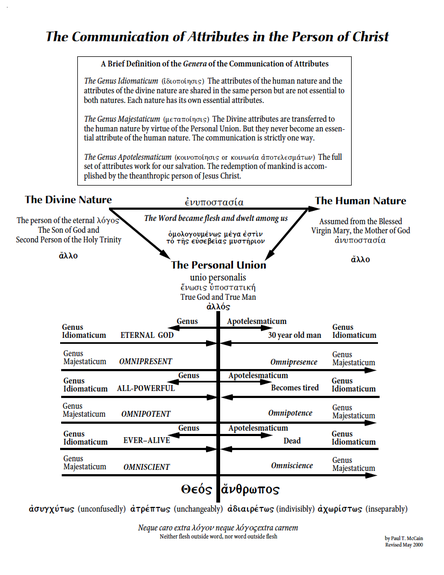 Who is God - The Trinity? What is Law & Gospel? We teach that Jesus Christ is God; the Son and second person of the Holy Trinity who has been and always will be. He spoke all things into existence (Genesis 1:3) and assumed a human nature in the womb of the Virgin Mary (John 1:1-5 ,14-18). Therefore, Jesus has two natures – fully divine and fully human – that are nevertheless indivisible and inseparable. There is one Christ, true God and true man, who was born of the Virgin Mary, truly suffered, was crucified, died, and was buried. He did this to reconcile the Father to us and to be a sacrifice to atone for our original sin and our own sin. 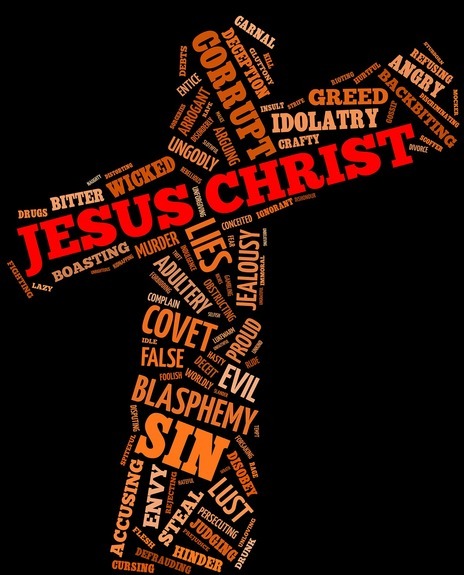 After his death on the cross and as the creeds teach us, Jesus descended into hell (2 Peter 3:18-22) not as further punishment for sin but to declare his victory over sin, death and Satan. Jesus physically rose again on the third day after his death. Afterward, He ascended into heaven to sit at the right hand of the Father. There He forever reigns and has dominion over all creatures. This same Christ will openly reappear again to judge the living and the dead. Lutherans confess that “Jesus Christ, true God, begotten of the Father from eternity, and also true man, born of the Virgin Mary, is my Lord, who has redeemed me, a lost and condemned creature, delivered me and freed me for all sins, from death, and from the power of the devil, not with silver and gold but with His holy and precious blood and with His innocent sufferings and death, in order that I may be His and live under Him in His kingdom, and serve Him in everlasting righteousness, innocence, and blessedness, even as He is risen from the dead and lives and reigns to all eternity.” (Luther’s Small Catechism; John 1:1, 14; Acts 20:28; Hebrews 9:22; 10:10-17; 1 John 4:9-10). The Bible says that Jesus Christ will be a “stone of stumbling and a rock of offense” (Romans 9:33). This truth is especially visible now as people rail against the “deep offensive” of Christian teaching that “there is salvation in no one else, for there is no other name under heaven given among men by which we must be saved” (Acts 4:12; John 14:6). Source: CyberBrethren – A Lutheran Blog by Paul T. McCain.